Samsung may be aiming to make us fat and lazier than ever, checking the fridge content and the visitor at the door from the couch in front of the TV, but obviously it is delivering what people want, as it just did a record profit forecast song and dance for this past quarter. 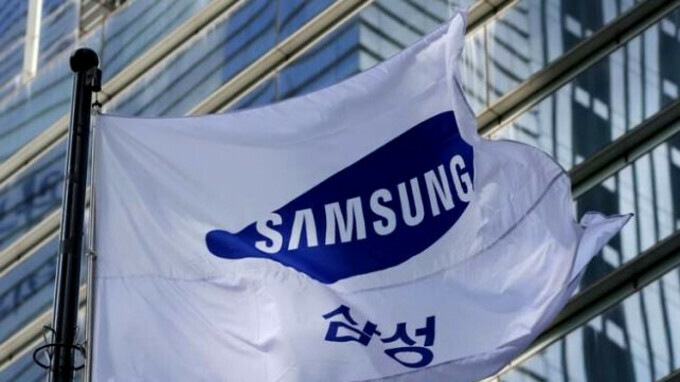 In a regulatory filing ahead of its Q4 earnings announcement, which is apparently obligatory to do in South Korea for listed companies, Samsung says that it expects to have pocketed about $14.1 billion in the October-December period. For comparison, its last earnings guidance, for Q3, was $12.8 billion, another record at the time. For another comparison, Apple logged $8.7 billion profit then in its turn. Things are about to get very interesting when the two giants announce their final Q4 earnings, as Apple predicted a record quarterly revenue, too, buoyed by the iPhone X sales, but Samsung gets a nice chunk out of each unit, as it's supplying the iPhone's most expensive part - its OLED display. Still, if Apple's usual profit margin holds water for Q4 as well, it should have Samsung beat in terms of overall profit. With $14 billion earned for just one quarter, we doubt that Samsung will be too upset about that, but we'd have to wait and see what will Apple's haul be when it announces earning on February 1st. Samsung is the king of innovation. They also announced the first commercial available micro led tv.aka. The Wall. A 146" 4k Marvel. All connected with Bixby. Siri is shaking in her boots. They are too big already..
OMFG, Samsung or Apple fans, why the hell does it matter who make what. All that matters is , they make what we like, because neither one is going to give us any of that money. Thank you. The problem isn't Samsung fans. The problem is A0ple fans because everything with them is about.money, because they can't argue about anything else. Because everything else Apple has is lesser. It's always the small groups who are the most vocal. Right? Its boggling the amount of profit companies make these days. Because they sell more products than they use too. When you increase your product portfolio and they have success you make more money. I recall when making $500M was a big dealsamsung is a very big company, bigger than Apple. So they need lots of money. A company that size has compost high revenue. I don't care what they make because they will.always make more than US and they are suppose too. Because if they don't, they will be broke. It's not a typo. He justvshorten it's because he already mention billion why Samsung and it didn't need to be repeated. Comprehension failure. Don't be so quick to correct. People have that bad here!